ALGIERS – Algeria’s newly appointed president Mr. Abdelkader Bensalah has set July 4 as the date for the country’s postponed presidential election, according to state media as reported by Aljazeera. The announcement on Wednesday came a day after Mr. Bensalah was appointed as interim president for 90 days, replacing long-time leader Mr. Abdelaziz Bouteflika who stepped down last week in the face of mass protests against him. Mr. Bensalah, who will not be able to run in the election, signed a decree on the vote shortly after taking the post on Tuesday, Algeria’s official news agency APS reported. Mr. Bensalah also announced plans to urgently create a “sovereign” body, with the help of the political class and civil society, to help lay down the required conditions for an “honest” process. The move triggered mass rallies against the ailing leader, which eventually forced him to backtrack and postpone the poll. But Mr. Bouteflika, who has been confined to a wheelchair since a 2013 stroke, said he would remain in office to oversee a transition that would include drafting a new constitution. 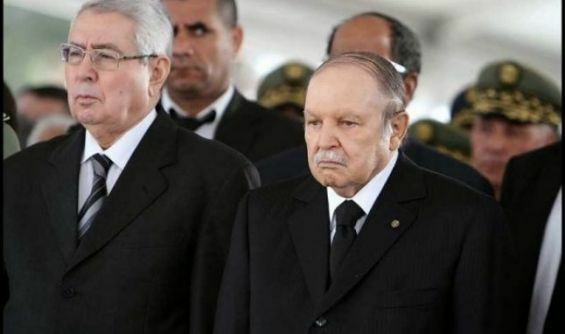 On April 2, after weeks of mass nationwide protests and increasing pressure from the powerful armed forces, Mr. Bouteflika announced his resignation. In accordance with Algeria’s constitution, Mr. Bensalah, the chairman of the upper house of parliament, took over as caretaker president. Earlier on Wednesday, April 10 Algeria’s army chief of staff said the military would watch over Algeria’s preparations for presidential elections, but suggested the military does not want to intervene. Gen. Salah also said he expects those who profited under the former president to be prosecuted.